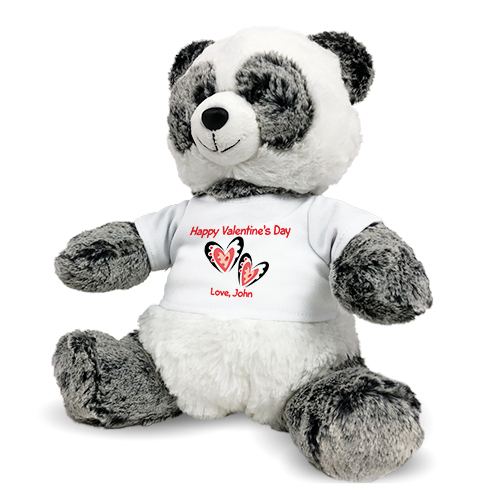 Personalized Happy Valentine's Day Panda Bear- 12"
With Valentine's right around the corner, let this lovable plush Panda Bear be a part of that special day. Perfect for your girlfriend, boyfriend, husband or wife this Valentine's Day, this custom plush Panda makes for a sweet and loving gift. This romantic design is featured on our Ping Panda from the Aurora collection. 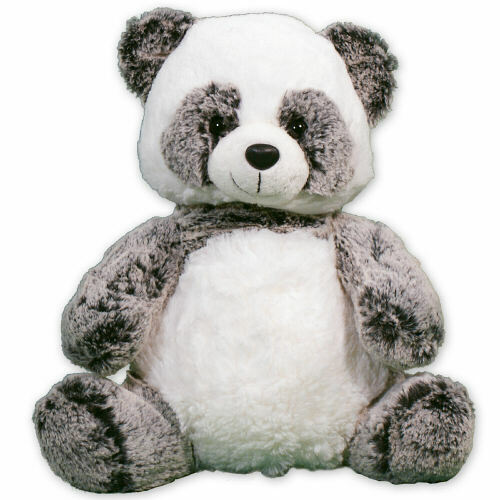 Ping is a very cute, soft, and cuddly panda with grey and white fur. The T-shirt worn by Ping features our “Two Hearts Design” and the phrase Happy Valentine's Day. Free personalization of any custom message on the bottom of the shirt is included. Ping measures 12” and includes free gift wrapping and a free gift message to create a thoughtful presentation. By selecting this option you have chosen to purchase this item without personalization and without the garment or wearable that is personalized. You will not be able to add personalization to this item a later time. This looks right. I accept the personalization. I want this item WITHOUT Personalization. 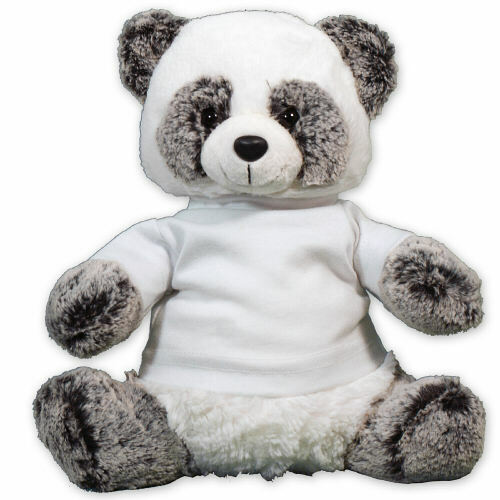 Ping Panda is a very cute, soft, cuddly and squishy panda with super soft grey and white fur. From Aurora’s Sweet and Softer Collection, Ping Panda offers a loveable expression and makes a wonderful gift for anyone on your shopping list. Ping measures 12” and includes free personalization. Just simply personalize Ping Panda’s t-shirt with any design and custom message. Free Gift Wrapping and a Free Gift Card are also included to create a thoughtful presentation. Additional Details Take a look through all of our plush Valentine's Day gifts to find the best one for that special someone.